If you do not have a full day to be in the salon to get hair extensions, then you may want to try tape hair extensions! This application is fast and comfortable. 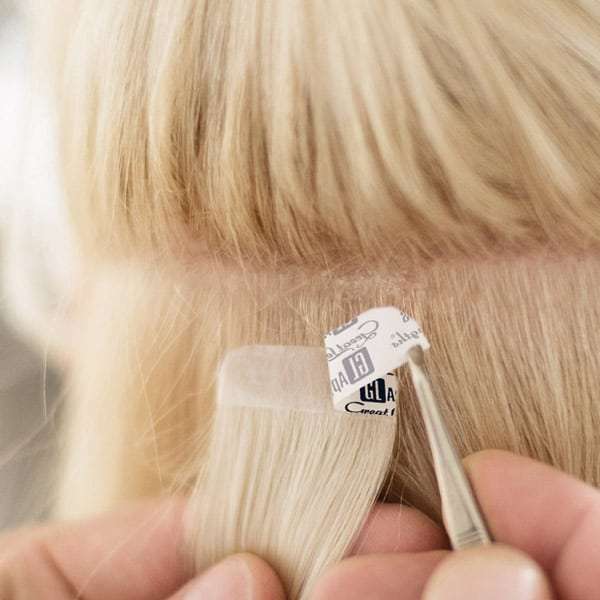 Tape extensions lay very flat. 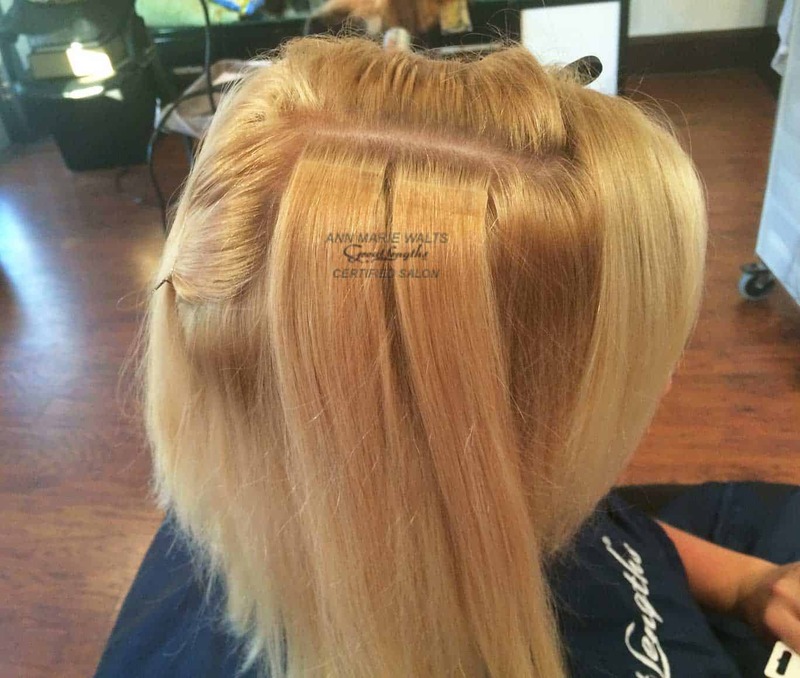 Adding a few pieces to your sides will greatly enhance your hair’s thickness. It is an excellent option to add a splash of color, too.